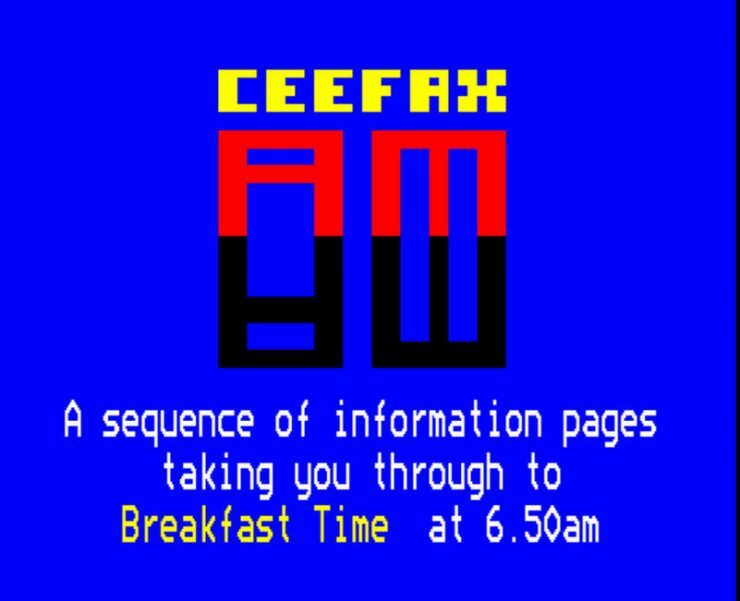 ‘Carlos’ is co-presenter of the Teletextr Podcast, a show named after the teletext service he founded in 2015. 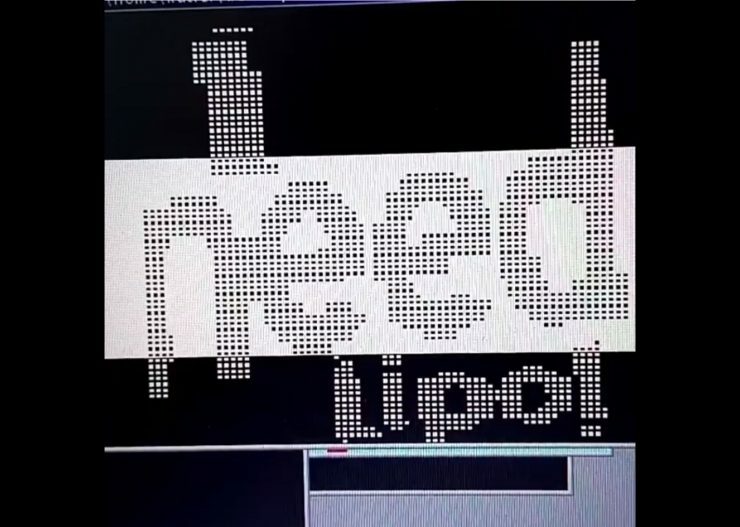 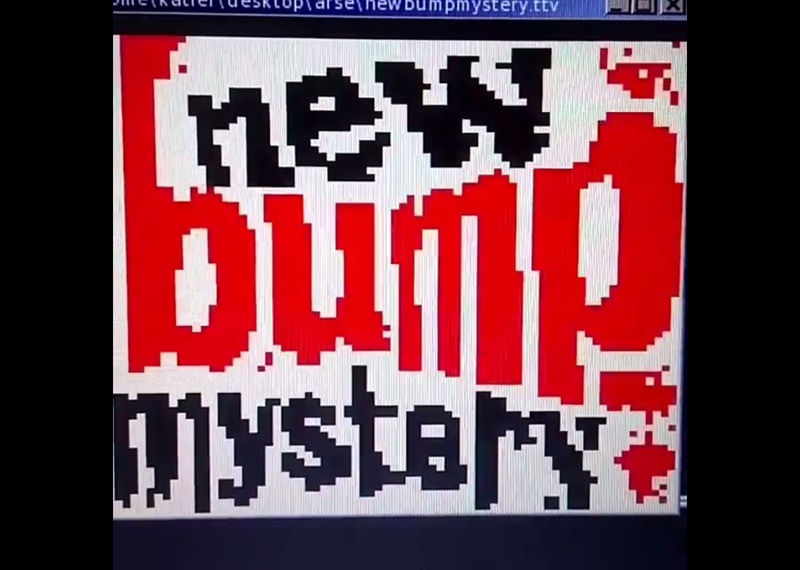 This name was also adopted by a demogroup – the world’s first such teletext group – that exhibited at Block Party Cambridge 2017. 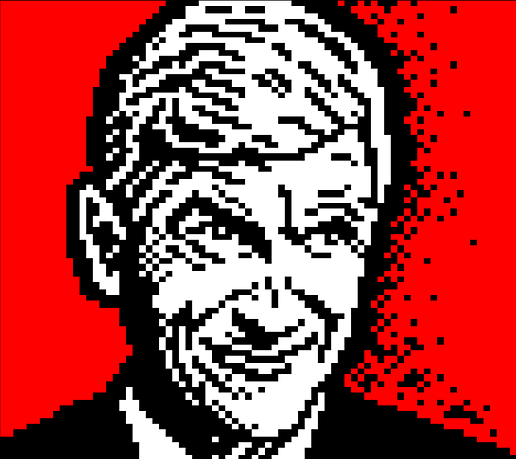 The “Banksy of Teletext”, Max received the much-deserved Teletext Achievement Award at the 2015 Teletext Art Festival. 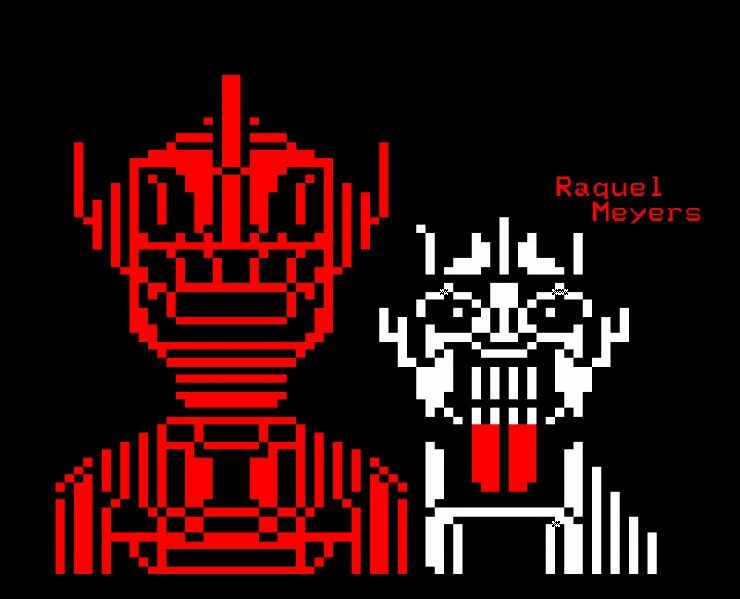 His work is featured in the 2015 book ‘Teletext in Europe’, which includes chapters on teletext art, psychology and sociology. 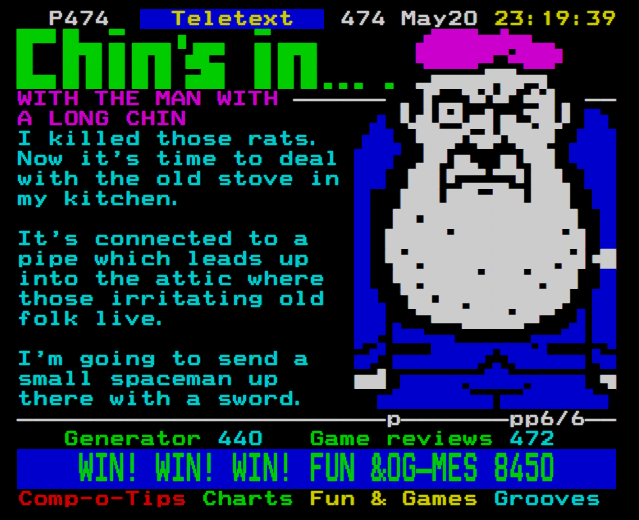 Espenschied was selected as winner of the 2013 International Teletext Art People’s Choice Award for his seminal ‘Lucky Cat’ design. He previously participated in the pioneering VBI Microtel project that kickstarted the post-analogue teletext art movement. 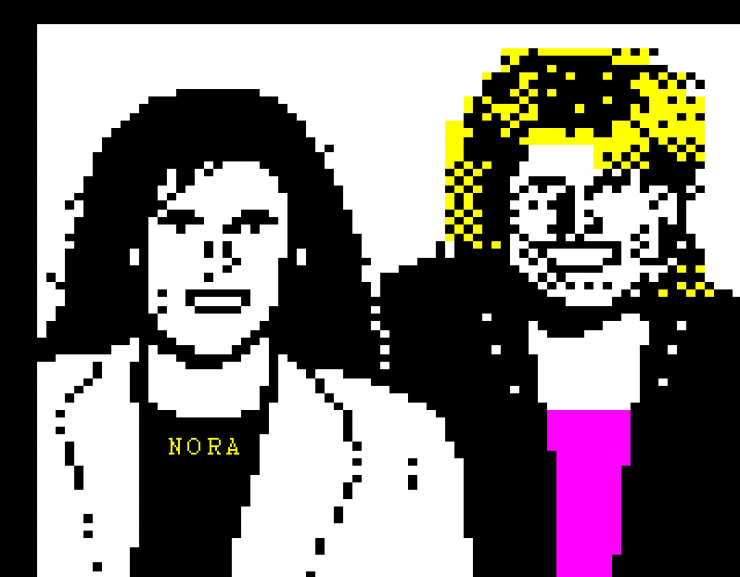 Modern Talking, entry for ARD’s ’30 Years of Teletext’ in 2010. 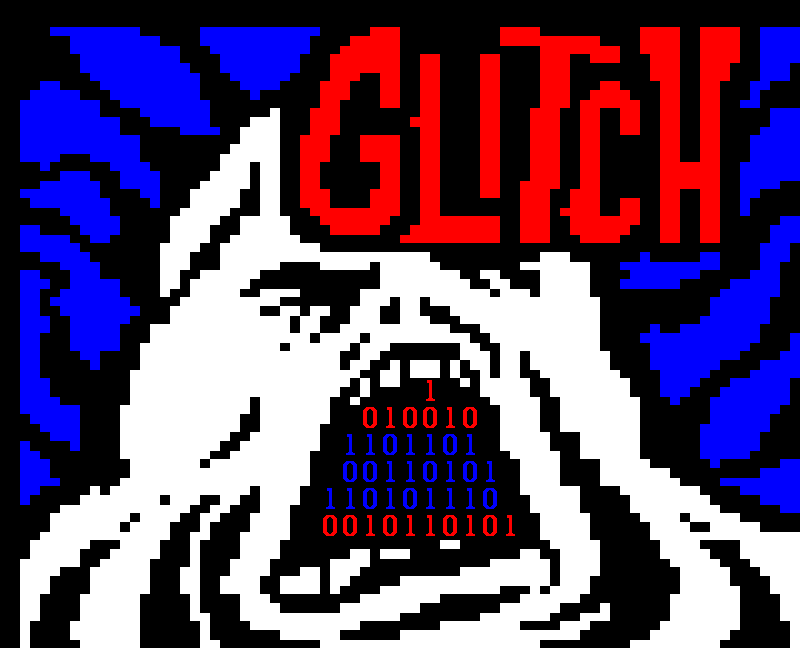 With a keen eye for framing and colour, Gunter filters celebrity and occult phenomena through the 3-bit lens of teletext. 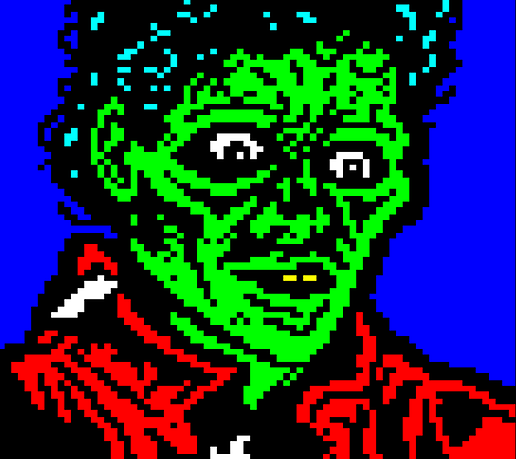 ‘Lindsay Lohan Mug Shot Cabinet’ was awarded the International Teletext Art Prize in 2013, with the judges noting its effective use of flash. 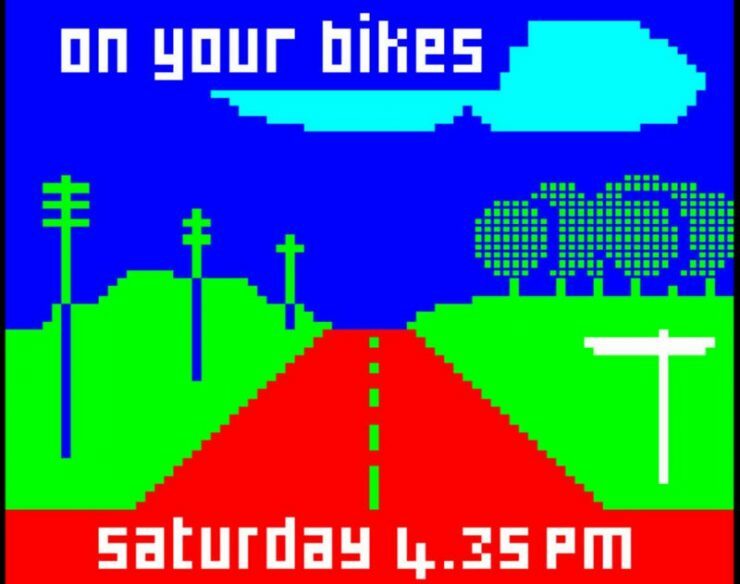 In a remarkable case of nominative determinism, Steve ‘Horsenburger’ Horsley began his career drawing pixel horses for a variety of services including Teletext Ltd. 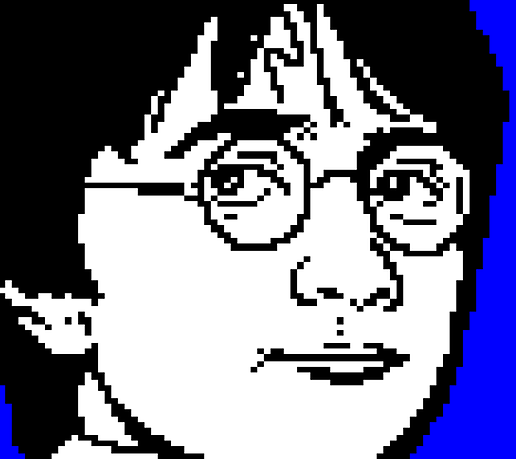 Returning to the medium twenty years later, he finds his work featured on Nintendo Life and ARD Text. A member of the FixC artists cooperative, Van Ingen is a co-founder of the International Teletext Art Festival and Finnish national television’s Museum of Teletext Art. 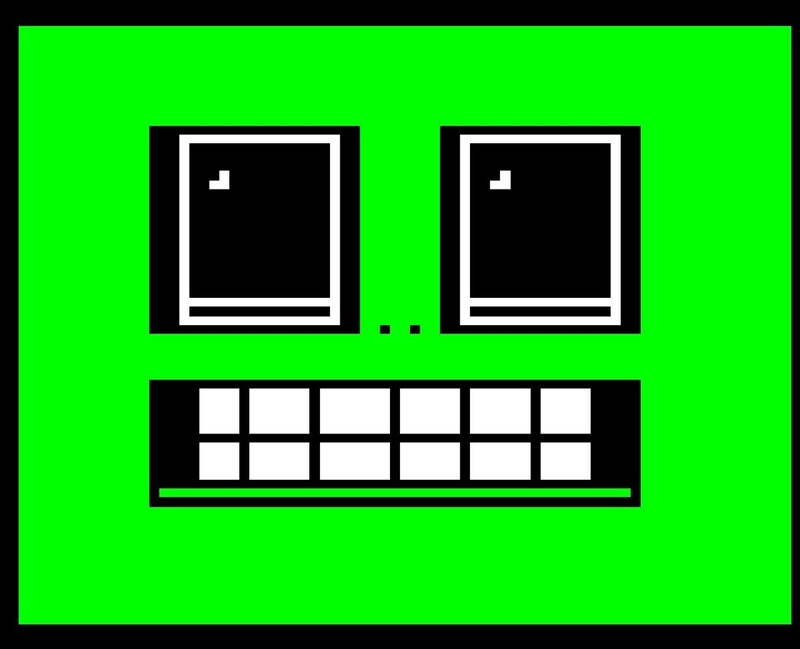 As an artist, he has been featured at ARS Electronica, Modern Art Oxford and the FISH Gallery, Helsinki. Joined Ceefax at its beginning in 1974 as news and general sub-editor, gradually developing the graphics side of things. 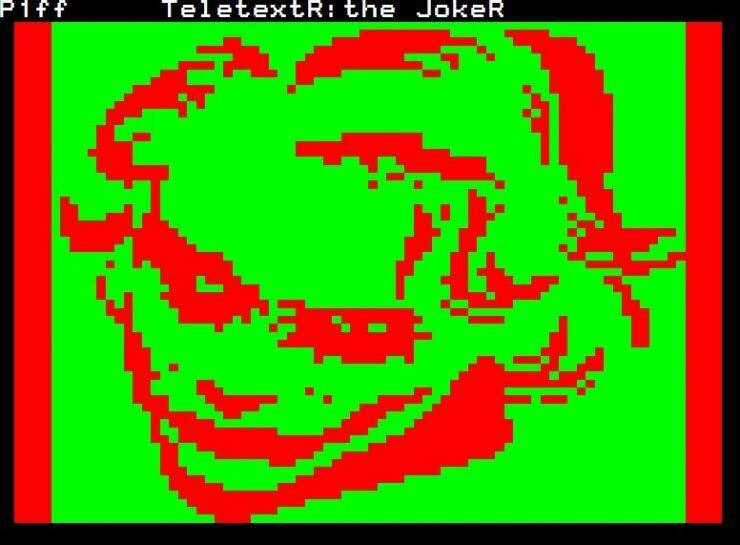 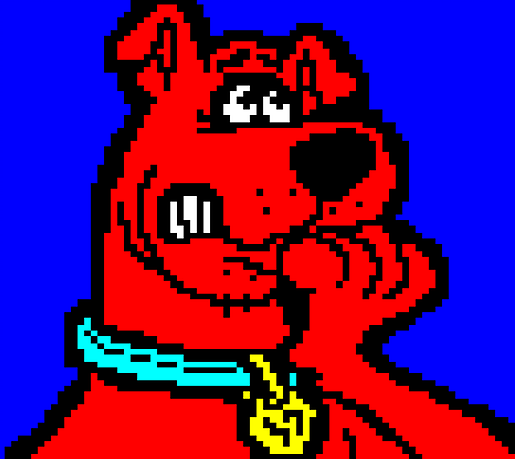 Eventually became full time graphic designer with Intelfax Ltd in 1986, designing for a wide range of teletext services, including Channel 4’s 4-Tel service and the popular 4-T cartoon series. Raquel Meyers’ practice centres on KYBDslöjd, which stands for ‘keyboard dexterity’. 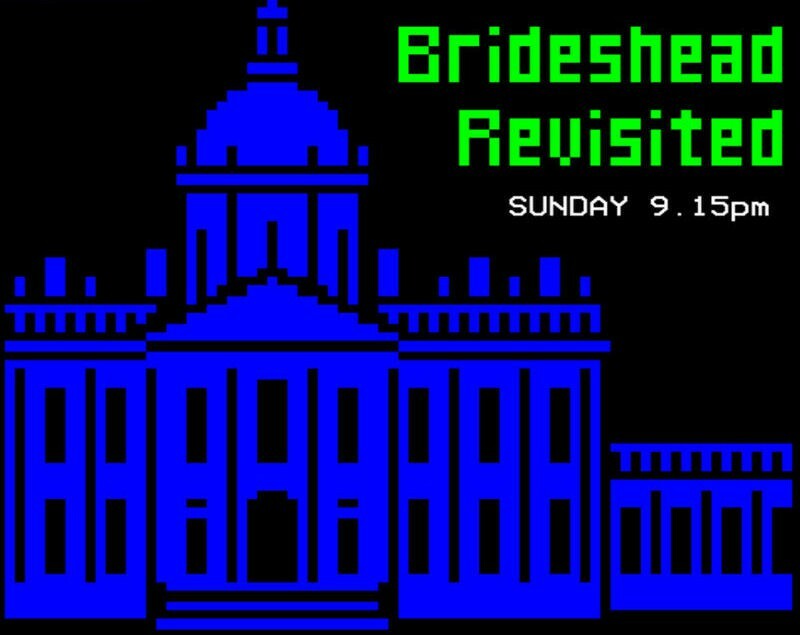 Her brutalist storytellings have been exhibited around the world, from Australia to the United States, Brazil and Japan. 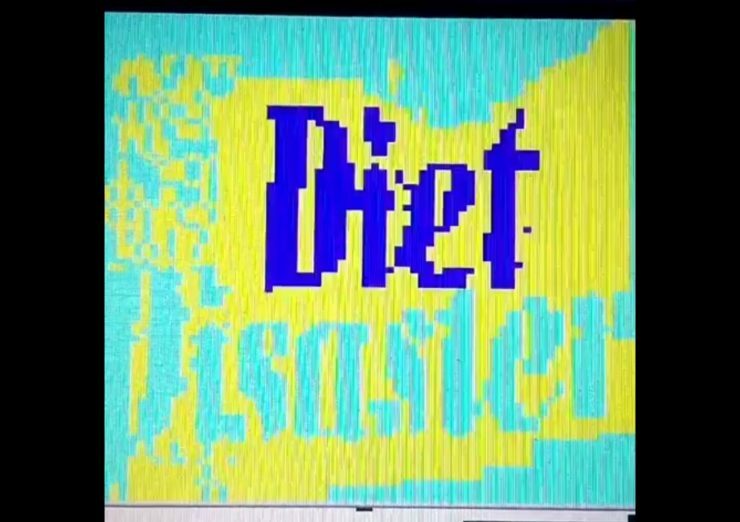 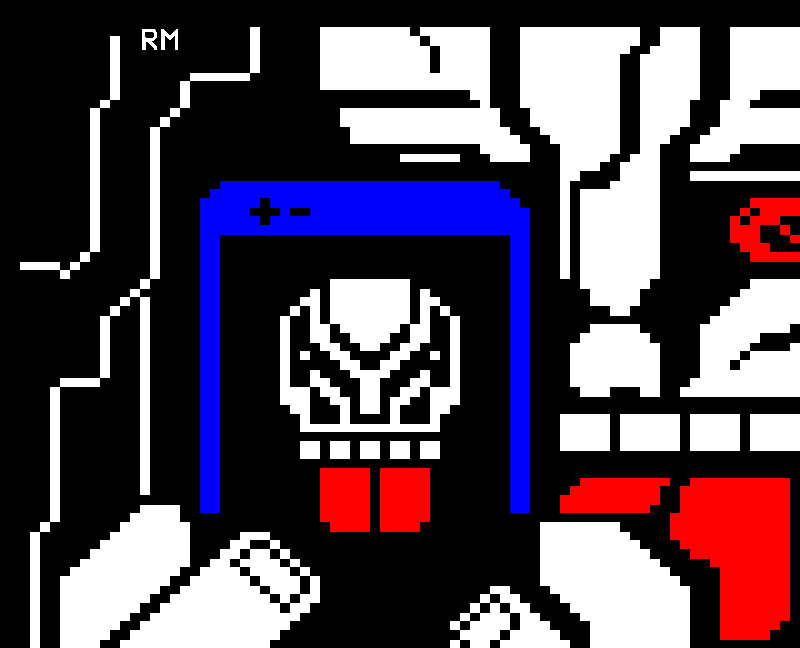 As Graphic Designer at Teletext Ltd (1993-2003), Rose co-created the world-infamous daily video games magazine Digitiser, in addition to drawing hundreds of icons and characters including the Boozler family and Turner the Worm.